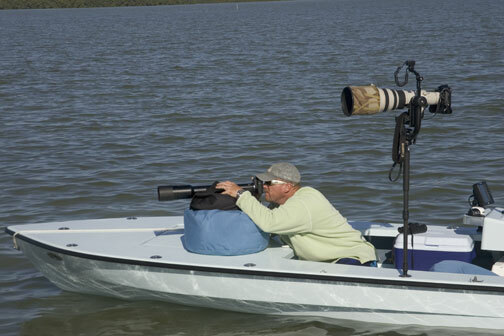 A unique Florida Photography Workshops aboard my Foto-Boat that has been completely outfitted & custom-designed by me with the special needs of photography in mind. 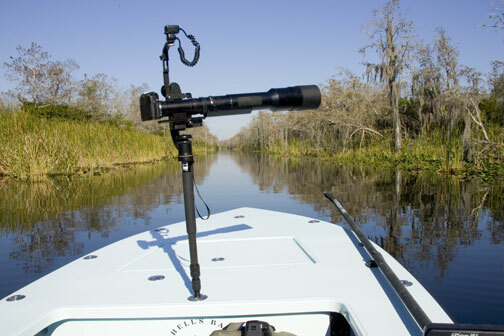 This floating photo platform can safely & silently glide into less than 6” of water, bringing you into remote rookeries, “up close & personal” with ‘gators, nesting chicks, shoot ‘full-frame' feeding and mating activities, and other varied wildlife for and up-close look at what makes Florida wildlife and nature so special and unique! Three heavy-duty Gitzo monopods (holding up to 30+ lbs.) can be placed on custom-designed deck-plates that have been strategically placed for optimum photo opportunities. The heavy-duty Wimberly ball head (as well as Arca-Swiss) are easily mounted on these taller ‘pods, as well as on my custom-designed shorter ones, getting you down and low for those intimate eyeball, portrait shots. 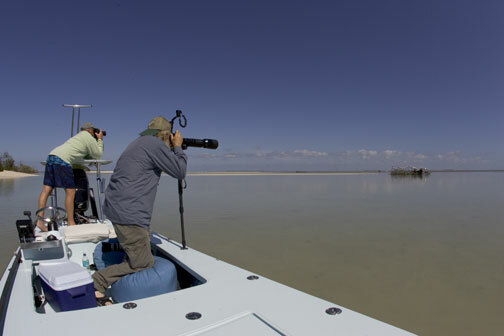 You'll be sure to come away with some amazing nature and wildlife photos of your everglades boat tour. 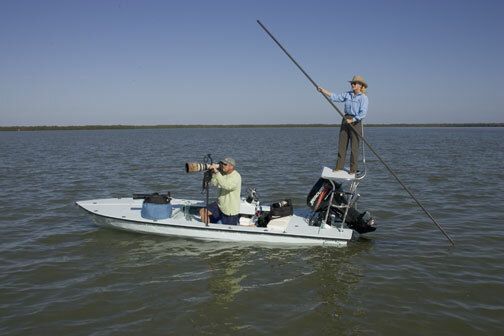 This vessel gladly takes photographers and non-photographers alike for a once in a lifetime view of primitive Florida. Come and see the undeveloped splendor of the Florida Everglades to understand how Florida used to be! 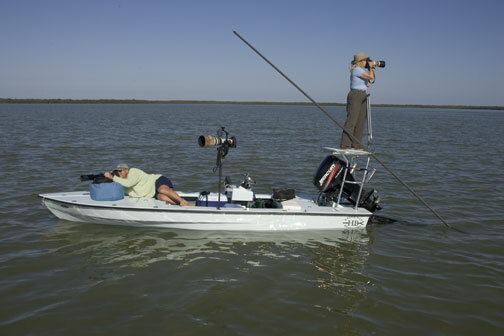 There are comfortable beanbags for your gear and rear, plus water-proof hatches, and bimini top for shade when needed. Please contact us for pricing and availability. Prices subject to change at the discretion of Joanne Williams Photography, Inc.